When auto sales slip, car-makers roll out the incentives. And so it has been this year, and may well be for the foreseeable future, at least for some fleets and for some models. Following the recovery from the recession that saw U.S. car and light truck sales bottom out in 2009 at 10.4 million, sales set a new all-time record in 2016 with 17.55 million units purchased or sold. But sales slumped badly through the first seven months of this year, with Detroit’s big three notching declines in July of 15% at GM, 7.4% at Ford and 10% at Fiat Chrysler. Boosted by post-hurricane replacement buys, Detroit had a great September, moving cars at an annualized rate of more than 18 million. But in October, sales edged downward again, are projected to fall further in November and are on pace to fall by around three percent to around a flat 17 million for the year. Morgan Stanley stock analyst Adam Jones thinks big declines are ahead for car-makers. In June, he dropped his forecast for 2017 sales by 1.4 million units, to 17.3 million – not terrible itself, but the beginning a longer slide through 2020. He said he saw sales falling by a further seven percent in 2018 to 16.4 million, and to around 15 million in both 2019 and 2020, unless the federal government steps in with another “Cash for Clunkers” incentive program. Other analysts, like Katherine Davidson, a London-based analyst for the investment banking firm Schroders, is not so pessimistic. While not disputing a near-term decline, she said it’s unlikely that there will be a plunge in sales without a sharp contraction in the economy. Cars last longer. How many rust buckets do you see on the road anymore? Not many. Driven by consumer demand, car-makers have steadily improved auto quality and longevity. As a result, the average age of American vehicles on the road reached 11.6 years last year, an all-time high. Young people aren’t in love with the automobile. 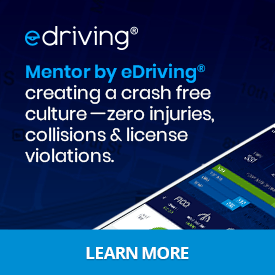 Surveys show that “Millenials” – people who reached adulthood around the year 2000 and are now in their 30s – are less interested in owning and driving a car than previous generations. The rise of car-sharing. Still in its infancy, ride-hailing services like Uber and Lyft and car-sharing in general has seen explosive growth over the past few years, and is expected to increase, especially among urban residents and younger Americans. Higher interest rates. After hovering at record-lows to spur the economy, interest rates began to rise this year, as the Federal Reserve Bank began easing off the pedal stimulating the economy. Looking ahead to 2018, Wall Street giant Goldman Sachs sees the Fed raising rates four more times, making all loans more costly for business and consumers alike. There are bright spots for the industry, however. Spurred on by low fuel prices, consumers have been flocking to SUVs and light trucks, a boon to OEMs as they are their high profit margin models. Don’t expect to see generous incentives on those, at least in the near-term. On the other hand, consumers have been fleeing compact and mid-sized cars, the latter, of course, the staple of the fleet industry. But fleets shouldn’t expect dramatic decreases in their total cost of ownership. 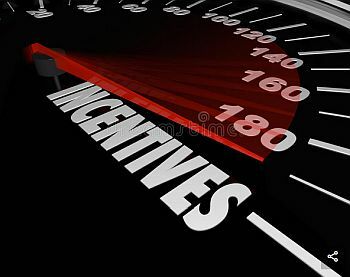 Goldman points out: incentives are merely easing the pain from higher prices due to the addition of more sophisticated safety technology in new cars. The bottom line: fleets should be on the lookout for better incentives, particularly from manufacturers whose mid-sized sales come under pressure over the next few years.